Sarah Waldhorn, LMT is SOMI’s student and she is currently progressing through our Medical Massage Certification program. From the first class she took with SOMI it was obvious that Sarah was going to become an excellent Medical Massage practitioner. She absorbed theory and clinical skills like a sponge and all of that paid off since she is now able to solve more and more complicated clinical cases. Sarah’s contribution to JMS is a great illustration of her clinical reasoning and practical skills. Jake is a 43 year-old self-employed electrician. He first came to me at the end of 2017 at the chiropractic office where I have hours once a week, complaining of chronic low back pain that somehow grew to an all-pervasive intensity. He decided to come in when he realized he was holding his low back and complaining of pain “all the time.” He was very skeptical that anything could help. I asked him to point to where the pain was. His hand scanned his sacroiliac joint and the ilium as well as smack in the middle of the right glute/piriformis. Ok, I said, let me see if I can help. He came to me without having seen any previous massage therapists, and with a severe distrust in chiropractic care, as he did go to a chiropractor and he came out of that much worse for the wear. During initial evaluation it was obvious that his entire back was very tense, but his low back was nearly impenetrable during the palpation. He exhibited severe hypertonicity in his low lumbar erectors and Quadratus Lumborum (QL) on both sides. I spent the first session just focused on effleurage, kneading in inhibitory regime and frictions on the lateral side of his lumbar erectors, QL, gluteal group and piriformis. I also addressed all attachments to the periosteum of sacrum, ilium and sacroiliac joints. Since his soft tissues exhibited very low mobility I worked specifically around the sacrum and ilium by ‘pulling’ as much as I could all soft tissue from bone. I started seeing him privately and sporadically and always focused on his low back and piriformis, as it would tighten up. It was always on his right side. Occasionally he would have pain on the right lateral calf along distribution of common peroneal nerve. This is where he exhibited tension in the peroneal muscles. I always addressed this area as well. Lately, he came with severe pain on his left lateral calf as well along the lateral edge of the left foot, at the insertions of peroneus longus and brevis muscles in the middle of his foot. His right lateral calf at the same areas also pained him, but not nearly as much as his left. I asked how his back and gluteal area on the left felt. “Fine,” he shrugged, “no more than usual tightness. It’s just in my left calf and foot.” He then explained he had gone on vacation with his wife and slept in a strange bed, but that was it. I suspected that the strange bed had triggered tension in the left QL, around the SI joint and also in the piriformis muscle. I was thinking that that initial tension in the lower lumbar back entrapped the sciatic nerve or to be more precise, the common peroneal part of it and that triggered intense pain on the left calf and foot. The fact that he felt nothing in his low back didn’t deter my opinion; on the contrary, I remember countless times Dr. Ross mentioned during Medical Massage Seminars the client could easily not experience symptoms at the source of the problem if irritation of the nerve was mild to moderate. The clinical symptoms will appear only at the end of the innervation by the irritated nerve confusing many health practitioners who frequently address consequences (symptoms the patient feels) instead of the actual trigger which is hiding in a completely different part of the body. A quick look at SOMI’s charts confirmed that the lower leg and foot pain was maybe caused by irritation of parts of L5-S1 spinal nerves which later contributed to peroneal division of the sciatic nerve. Evaluation of the soft tissues layer by layer revealed that there were no abnormalities in his skin, but superficial fascia was severely restricted on his right lower back, and on his left upper back. The palpatory testing didn’t indicate presence of active trigger points in the lower back and gluteal muscles, but all these muscles were extremely tight and displayed hypertonicity. Such an unusual clinical picture – severe muscle tension with absence of active trigger points – indicated that spasm which affected the entire muscle didn’t allow active trigger points to reveal themselves yet, since the entire muscle belly was under severe protective reaction. Application of pressure on the lateral surfaces of L3-L5 spinous processes triggered referred pain along the entire ilium and all way down to S1. He also exhibited active periostal trigger points along the edge of the sacrum. My treatment plan consisted of preparations similar to my work on his right lumbar area I mentioned above. I also added Sherback’s friction (addressing the lateral surfaces of spinous processes) from L3-L5, took pressure from superficial fascia, apply techniques of Relaxation of Paravertebral Muscles (Big Fold, General Techniques), work in detail along each vertebral segment from L4 to S1 and added entire Piriformis Muscle Syndrome protocol. I finished the session with some work along peroneus longus and brevis muscles to restore their anatomical length and also concentrate on their attachments. At the end of only the first session he got up completely pain-free! Whoa! Thanks to SOMI’s protocols and Medical Massage training!!! PS – I have found that for people with severe lower back pain I can find a short cut by working on the gluteal muscles first, because they are usually in spasm if the low back is tense. Kind of like the best way to a man’s heart is through his stomach, the best way to relieve chronic low back pain and tension is through the gluteal area. Raised on a small sheep farm in rural Pennsylvania, Sarah has had experience from her earliest years in non-verbal touch and communication. In 2015, she pursued a long-time idea of becoming a massage therapist, a career enabling her to seamlessly integrate this awareness and ability on a daily basis with her clients. After becoming licensed, she was fortunate enough to ‘stumble’ upon the Science of Massage institute for continuing education credentialing. After speaking to Dr. Jeff Cullers as well as a few CMMP graduates of Dr. Ross Turchaninov, who said, hands-down, there is nothing better than this for lasting results, she decided to try. She felt frustrated that no matter what she did in the treatment room and what classes she took, nothing seemed to have stable clinical results. After the first lecture, she was hooked. At last, a scientific and intellectual understanding of what was really happening in the body’s with muscular-skeletal dysfunctions! She found it the perfect complement to the more ‘artistic’ aspects of massage therapy and has found her way to integrate both. Sarah works in Philadelphia with private clientele, in a chiropractic office and in a fertility clinic. Each client is like an entire world and a great learning experience. She is excited to explore this world of Medical Massage and implement its great multiplicity of proven tools, evaluation and understanding. 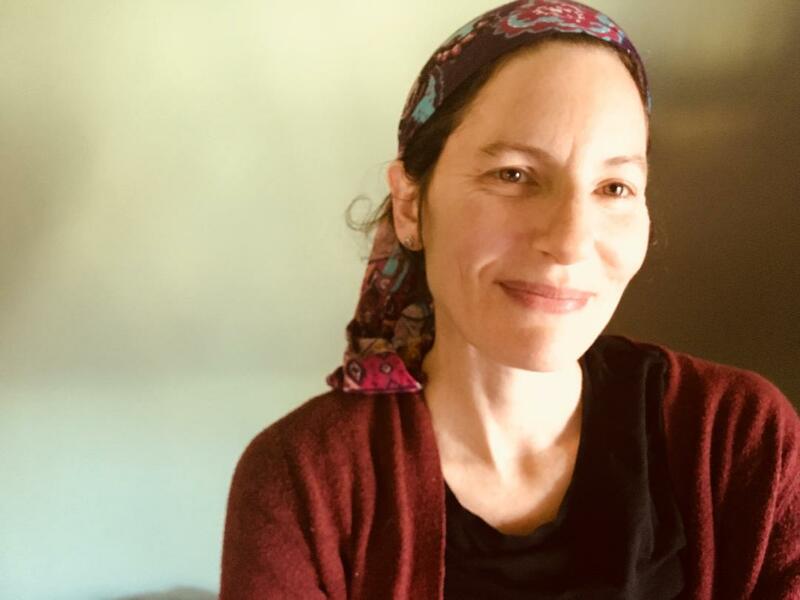 Sarah feels incredibly grateful to be in such a field and loves to help replace dysfunction and chaos with normalcy and order; in other words, to help spread the unparalleled joy of embodiment.